A 1756 map of the Pennsylvania area, with an enlarged detail of the territory in dispute during the war, then considered the western frontier. 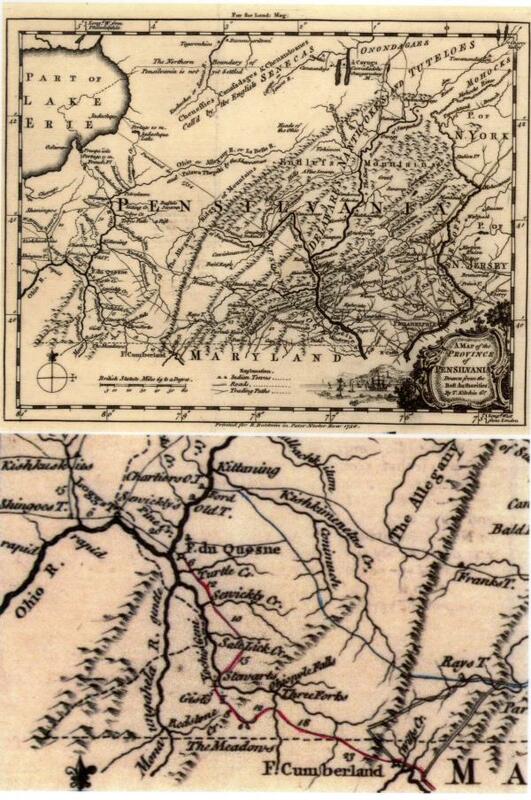 The path highlighted in red shows the approximate route General Braddock followed towards Fort Duquesne in his failed attempt to defeat French forces there. The route in blue shows the primitive Raystown Indian and Traders Path that General Forbes followed in 1758 to successfully capture the fort.